Posted in air routes, baghdad, featured, Germany, Iraq Transportation News, Iraqi Airways, mn. Posted in air routes, AnadoluJet, Business, DJ, erbil, Erbil International Airport, Erbil News, featured, Iraq Transportation News, Kurdistan News, mn, Turkey, Turkish Airlines, WW. The Iraqi Civil Aviation Authority (ICAA) has announced that it has banned all Boeing 737 MAX planes from its airspace. The move follows the crash of a 737 MAX in Ethiopia on Sunday, which killed 157 people, and another disaster involving that model of aircraft in Indonesia five months ago, which killed 189 people. Posted in air routes, Boeing, Boeing 737 MAX, featured, Iraq Civil Aviation Authority (ICAA), Iraq Transportation News, mn, safety. Air India has commenced twice-weekly flights between Najaf and Lucknow. 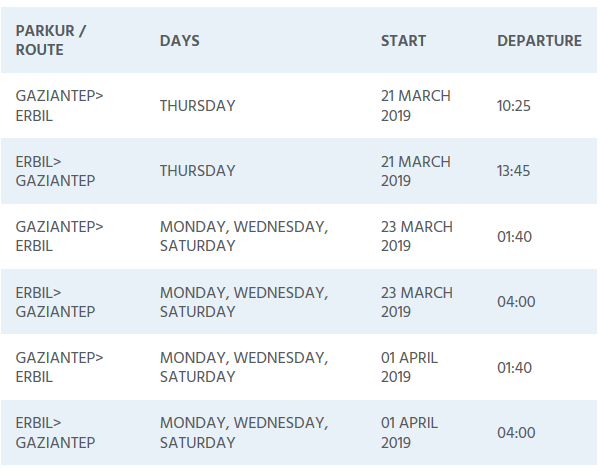 Return flights will be operated on Mondays and Thursdays. Posted in Air India, air routes, DJ, featured, india, Iraq Transportation News, Najaf, Najaf Airport, religious tourism. Turkey’s ban on flights to Sulaymaniyah, in Iraqi Kurdistan, will reportedly be lifted. According to Rudaw, Ankara has delayed the resumption of flights until Saturday due to technical issues. The ban was imposed in September 2017 following the independence referendum in Iraqi Kurdistan. Posted in air routes, featured, Iraq Transportation News, Sulaymaniyah, Turkey, Turkish Airlines. Authorities in Iraqi Kurdistan are said to be hopeful that a meeting later this month between Turkish President Recep Tayyip Erdoğan and Iraqi President Barham Salih will lead to Turkey lifting its ban on international flights crossing its airspace to land at Sulaymaniyah Airport (pictured). According to a report from Ahval News, Turkey imposed the ban on flights to Sulaymaniyah and Erbil in September 2017 after the region voted overwhelmingly in favour of independence, but later lifted the ban on flights to Erbil, as the Kurdistan Democratic Party (KDP), which controls that part of the region, is “closer politically” to Erdoğan’s government. Posted in air routes, erbil, featured, Iraq Transportation News, Kurdistan Democratic Party (KDP), Kurdistan News, Sulaimaniyah International Airport, Sulaymaniyah, Turkey. Air Arabia, the Middle East and North Africa’s first and largest low-cost carrier (LCC), has announced the launch of non-stop service to the city of Sulaymaniyah in the north of Iraq. The new service from the carrier’s primary hub in Sharjah marks Air Arabia’s fourth destination in Iraq and 152 worldwide. From November 6, 2018, Air Arabia will offer two weekly flights to Sulaimaniyah, making it convenient for passengers travelling between both cities. Offering convenient timings, the three-hour flight will operate twice per week, on Tuesdays and Fridays. The outbound flight on Tuesday’s will depart from Sharjah International Airport (SHJ) at 05:00 and land in Sulaimaniyah International Airport (ISU) at 06:55 local time. The return flight will leave Sulaimaniyah at 07:35 and land in Sharjah at 11:05 local time. On Fridays, the flight will depart from Sharjah International Airport (SHJ) at 15:00 and land in Sulaimaniyah International Airport (ISU) at 16:55 local time. The return flight will leave Sulaimaniyah at 17:35 and land in Sharjah at 21:05 local time. Posted in Air Arabia, air routes, baghdad, Business, Citi, Citigroup, DJ, erbil, featured, Iraq Transportation News, Kurdistan News, Sharjah, Sulaimaniyah, United Arab Emirates (UAE). Iraqi Airways has reportedly carried 9,200 passengers between Iraq and Russia in the first 12 months of operating flights. According to rusaviainsider.com, this consisted of 5,200 inbound to Russia and 4,000 outbound. The majority of those passengers flew between Moscow’s Vnukovo Airport and Baghdad, with the rest flying between Vnukovo and Basra. Posted in air routes, baghdad, Basra, Basra News, featured, Iraq Transportation News, Iraqi Airways, Russia. Following a seven-year hiatus caused by the economic embargo imposed on Syria and the unstable security situation, an Iraqi civilian airplane landed Aug. 20 for the first time at Damascus International Airport. Syria used this step politically and deemed it a victory for the Syrian army against terrorism, as was announced by the Syrian Minister of Transport Aug. 20. In conjunction with growing air traffic, the director of Damascus International Airport, Nidhal Mohammed, revealed Sept. 12 that the number of arrivals to the airport increased by 20% over the same period last year, and the proportion of air freight also increased 15% from last year. 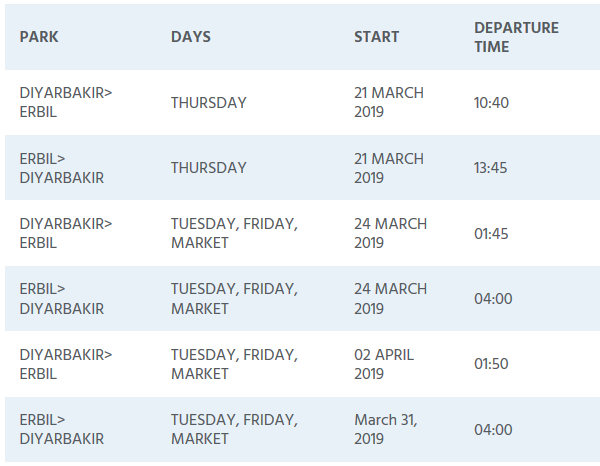 Prior to the return of the Iraqi airplane to Damascus, Iraqi Airways refrained from operating direct flights to Damascus, except for transit flights. Meanwhile, Syrian companies were transporting Iraqis to Damascus and vice versa — especially visitors to religious sites in Syria. Posted in air routes, Business, featured, Iraq Transportation News, Politics, Security, Syria. Saudia Airlines has announced that it will start direct services to Erbil in October. The service will offer three flights per week from Jeddah. Posted in air routes, erbil, Erbil News, featured, Iraq Transportation News, Kurdistan News, Saudi Arabia, Saudia Airlines.